The centerpiece of the kit is its FDA-certified meter, which transmits data to the One Drop Mobile app via Bluetooth. On top of iPhone and iPod touch support, a companion Apple Watch app is available. Also bundled are a lancing device, 10 lancets, and 100 test strips. The lancer is said to sit flush against a finger, thanks in part to adjustable depth settings, and require just a small drop of blood, 0.5 microliters. People who want a regular source of test strips can subscribe to a service called One Drop Premium, which costs $39.95 per month or $399.95 per year, and comes with other benefits like a discount on the meter and access to diabetics support. The Mobile app is also available for Android, but on iOS features both HealthKit and CareKit integration, the latter letting people share data with doctors and caregivers. 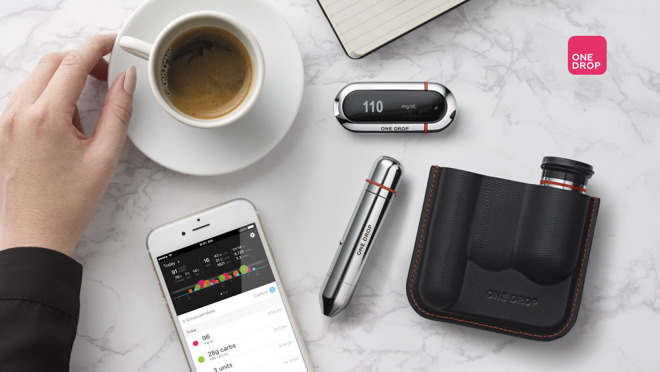 Using the app centralizes tracking of glucose levels, food, activity, and medication. 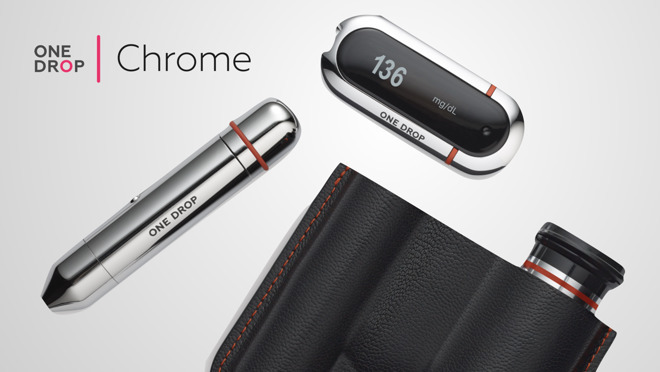 On Apple's online store, the Chrome kit costs $99.95. A One Drop Premium subscription lowers this price to $79.95. The iOS app is a free download and runs on iOS 9 or later.